Volvo isn't boring, it may be one of the coolest automakers around. 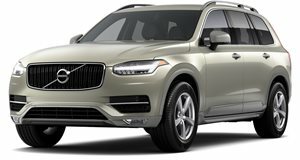 When car enthusiasts think about the most exciting models on sale, Volvo almost never comes up in conversation. Most people tend to think of cars from Mercedes-AMG, BMW's M division, or Cadillac V models when they think of fun luxury cars. Volvo has been doing a lot lately to shake its stodgy image. The Swedish brand just showed off a new 600-horsepower coupe from its recently spun-off Polestar division. The Polestar 1 coupe may not be a Volvo, but we've chosen five cars from the brand's past to show how awesome the company is. Before Volvo designated its sportiest models with a Polestar badge, the fastest Volvo models wore an R badge. The S60 R and V70 R were powered by a 2.5-liter turbocharged five-cylinder with 300 hp and 295 lb-ft of torque. With AWD, these cars could hit 60 mph in less than six-seconds. Both the sedan and wagon versions of the car were available with a six-speed manual transmission with one of the coolest shift gates ever put on a production car. These cars also had an advanced suspension system called Continuously Controlled Chassis Concept (Four-C), which allowed drivers to go from pillowy-soft comfort mode, to race-ready advanced mode. The Volvo 850R was the predecessor to the V60 and V70R. The model was originally called the 850 T-5R, and was co-developed by Porsche in 1995. The 850 used a 2.3-liter turbocharged straight-five with a Bosch ECU that added 18 hp for a total of 243 hp. The car was offered with a four-speed automatic or a five-speed manual that wasn't available in the US. 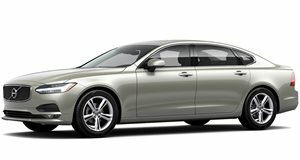 Only 6964 examples were built, and the car was so successful that Volvo decided to launch a replacement that was available as a sedan or a wagon, now with 250 hp on manual models. The 850R is one of the coolest wagons of all time, and was even cool enough to have a touring car based on it. There is a reason why most people think of Volvo as uncool, and it may be the 240. The Volvo 200 Series was sold from 1974 to 1993, with more than 2.8 million examples sold worldwide. The 240 was offered as a two-door coupe, four-door sedan, or as a five-door wagon. Over the years, the car was offered with a range of gas and diesel engines, the coolest of which was the 242 Turbo. The 242 Turbo was powered by a 2.3-liter turbocharged engine with 237 hp. Like the 850, the 240 was also successful as a touring car. These cars may have looked dull when they were new, but their boxy looks have become extremely desirable as the years have gone on and are now considered quite the classic. After the S60 and V70 R, Volvo took a break from high-performance cars to focus on building safe, but boring, cars that no one looked twice at. Then, the company made a bold move in 2010 with the C30 Polestar Concept. The concept was powered by a 2.5-liter inline-five from a Ford Focus RS with a massive 399 hp. The production version wasn't built until 2012, and only produced 250 hp. It was limited to just 250 units, so it is rare. The C30 was meant to resemble the shooting brake design of the 1800 ES, which is also one of our favorite Volvo models of all time. The P1800 is the perfect car to show exactly what Volvo stands for. The P1800 was a two-door sports car built from 1961 to 1973. It was never the fastest sports car on sale, but it was extremely safe, reliable and good looking. One of these cars has even been driven over three million miles. After more than four decades, Volvo has finally gone back to building a gorgeous two-door sports car, although the new one is technically a Polestar, not a Volvo. The P1800 will always be one of our favorite Volvos and one of our favorite sports cars of all time.